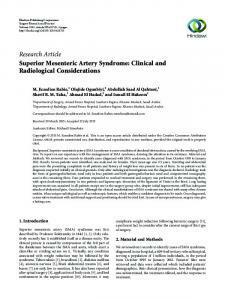 aticoduodenal artery (PDA) aneurysm 2.5 cm in diameter, in a 43-year-old man from Saudi Arabia who ... cases, the presentation as gastric outlet obstruction is. 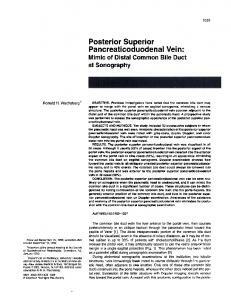 Sep 15, 1992 - superior pancreaticoduodenal vein courses adjacent to the distal part of the common bile duct within the pancreatic head. A prospective study. 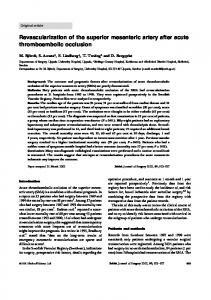 GRAY, H. H., MORGAN, J. M., PANETH, M. & MILLER, G. A.. H., 1988. 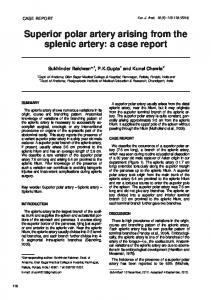 Pulmonary embolectomy for acute massive pulmonary embolism: an analysis of 71 cases. Dec 10, 2012 - The splenic artery is the largest branch of the coeli- ac trunk and supplies the spleen and substantial por- tions of the stomach and pancreas. 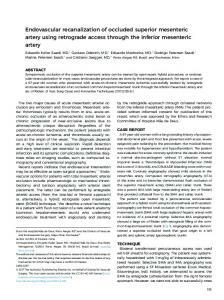 Stent fracture after fenestrated endovascular aneurysm repair is a recognized complication. 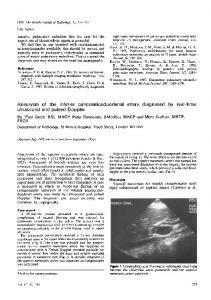 ... computer tomography (CT) and duplex ultrasound (DUS) assess-. 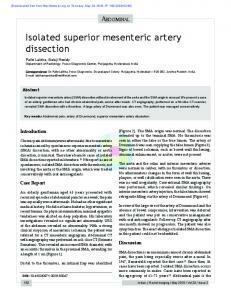 Revascularization of the superior mesenteric artery after acute thromboembolic occlusion. M. BjoÃrck, S. Acosta*, F. LindbergÂ², T. TroeÃng* and D. Bergqvist. 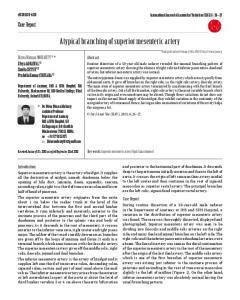 in which this method fails to repair the aneurysm or control ... October 30, 2013, IP: 5.162.208.98] || Click here to download free Android application for. Jul 4, 2007 - INTERVENTIONAL NEURORADIOLOGY. 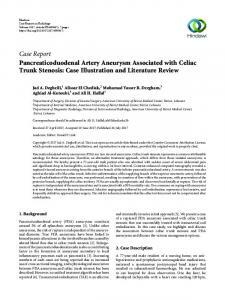 Superior cerebellar artery aneurysms: incidence, clinical presentation and midterm outcome. 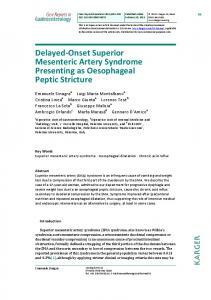 Please cite this article as: Franco MC, Vargo JJ, Chahal P, “Superior Pancreaticoduodenal Artery Pseudoaneurysm Mimicking a Cystic Neoplasm with Worrisome Features”, VideoGIE (2016), doi: 10.1016/j.vgie.2016.11.002. 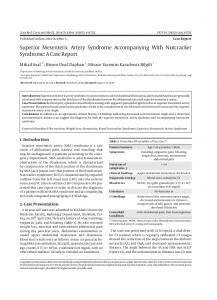 This is a PDF file of an unedited manuscript that has been accepted for publication. As a service to our customers we are providing this early version of the manuscript. The manuscript will undergo copyediting, typesetting, and review of the resulting proof before it is published in its final form. Please note that during the production process errors may be discovered which could affect the content, and all legal disclaimers that apply to the journal pertain. B. Institution: Department of Gastroenterology and Hepatology, Digestive Disease Institute, Cleveland Clinic, Cleveland, Ohio. and B). The patient was then referred for EUS with possible EUS-guided fine-needle aspiration (EUS-FNA). EUS showed the pancreatic lesion with the same worrisome features described previously during the MRI (Fig. 1C). 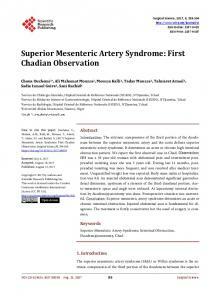 However, examination with Doppler revealed an intense vascular flow in the lesion. The intensely pulsating mass with connection with a surrounding artery raised concern for the diagnosis of pseudoaneusym with partial thrombosis mimicking the solid components (Fig. 1D). 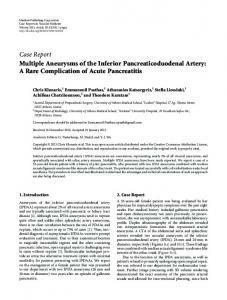 A CT angiogram confirmed the pancreatic pseudoaneurysm arising off the superior pancreaticoduodenal artery (Fig. Figure 1. A, MRI revealed a cystic lesion in the body of pancreas with wall thickness. B, An enhancing nodule was seen in the MRI, suggestive of a cystic neoplasm with worrisome features. C, EUS showing the pancreatic lesion with worrisome features described previously by the MRI. D, Examination with Doppler revealed an intense vascular flow, and connection of the lesion with a surrounding artery. 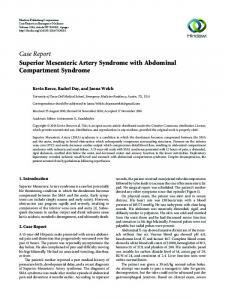 E, CT angiogram confirmed the superior pancreaticoduodenal artery pseudoanurysm. F, Image after treatment with angiographic embolization. Video 1. Video demonstration of pancreatic pseudoaneurysm mimicking a cystic neoplasm with worrisome features. 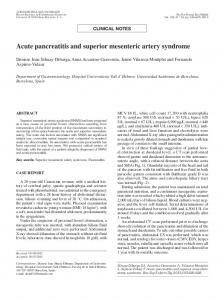 Report "Superior Pancreaticoduodenal Artery ..."